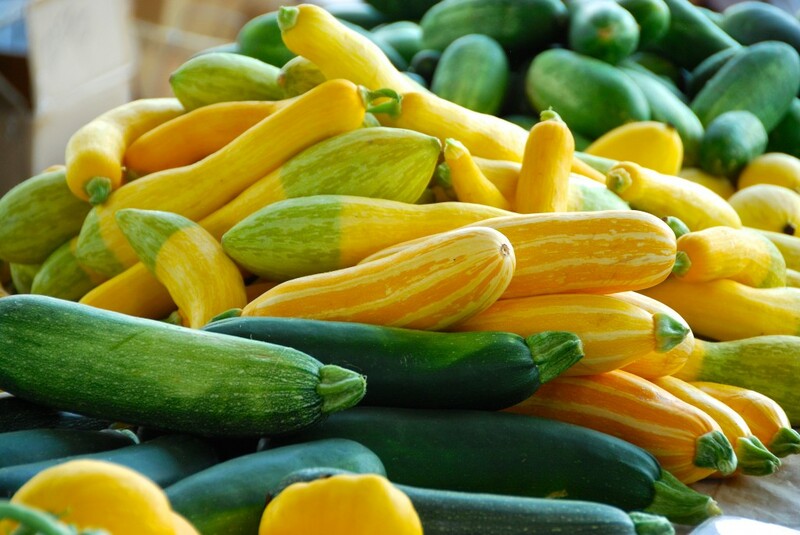 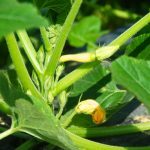 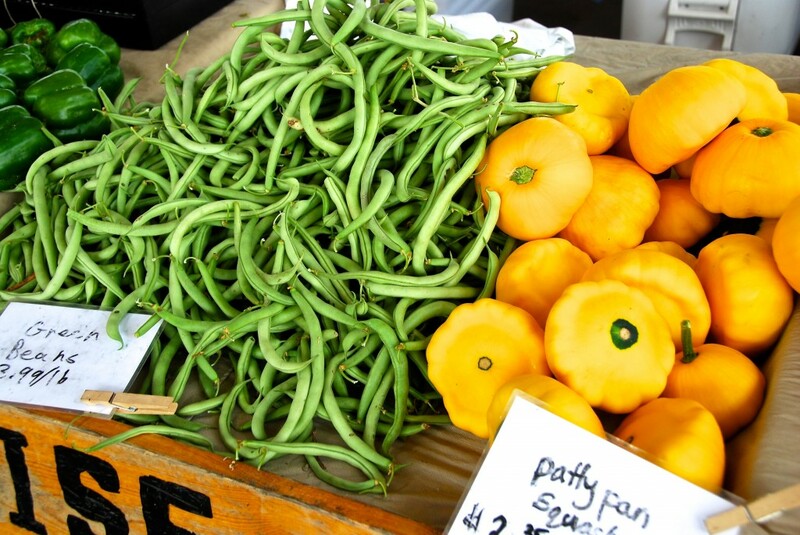 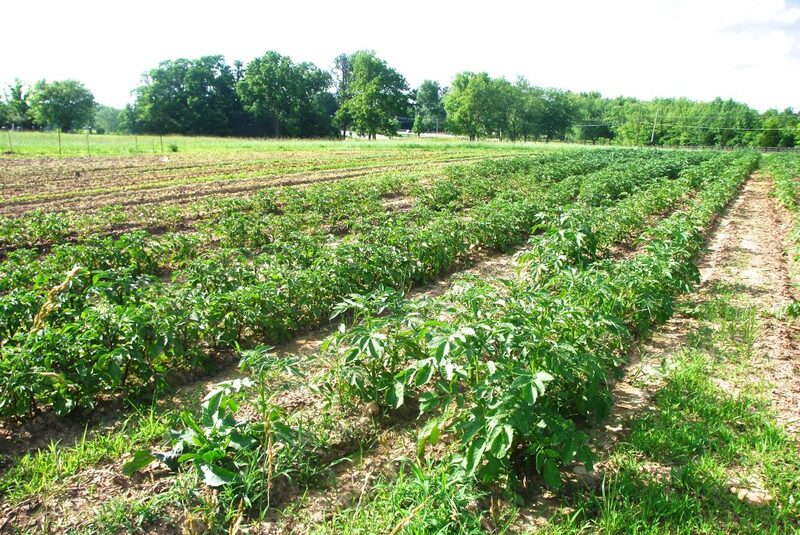 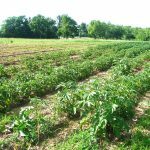 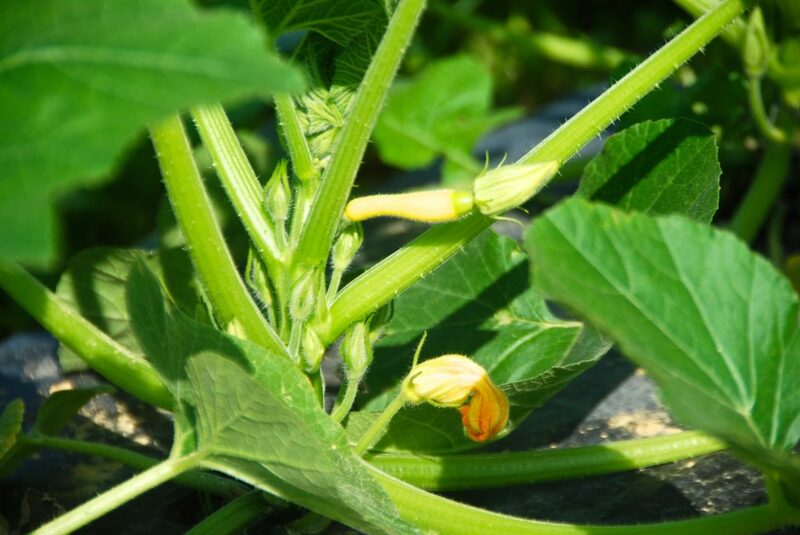 From artichokes to zucchini and just about everything in between, Paradise Produce in Joelton Tennessee has large variety of vegetables grown with strict organic methods on the farm. 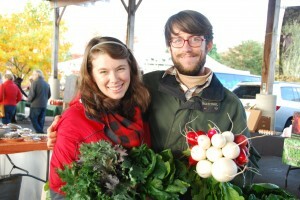 We’re Stacy and Sonia Geny and we are dedicated to producing the highest quality local food for discerning customers. 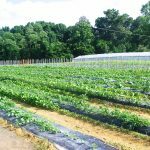 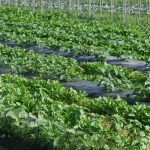 The soil at the Paradise Produce Farm has been richly cared for with only homemade compost and natural fertilizers such as fish meal. 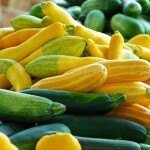 This gives the best chance for gaining vitamins and minerals creating the most nutritional food. 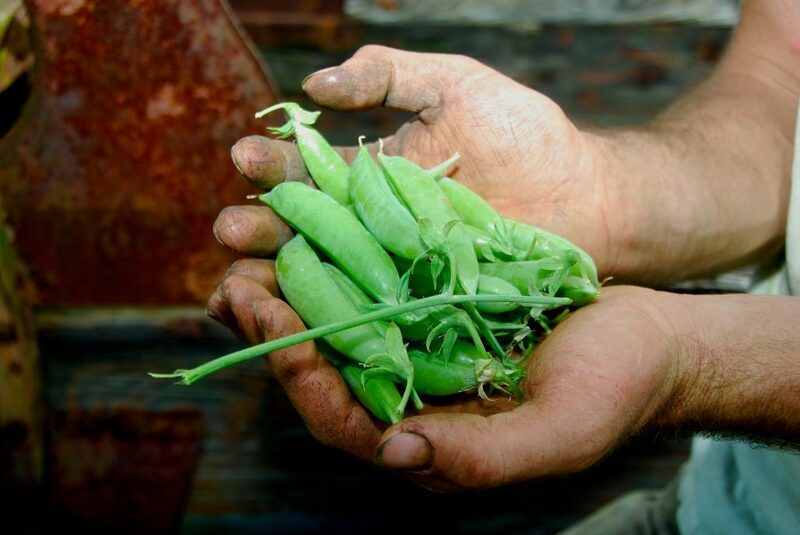 And we use absolutely NO GMOs, chemicals, pesticides, or herbicides. 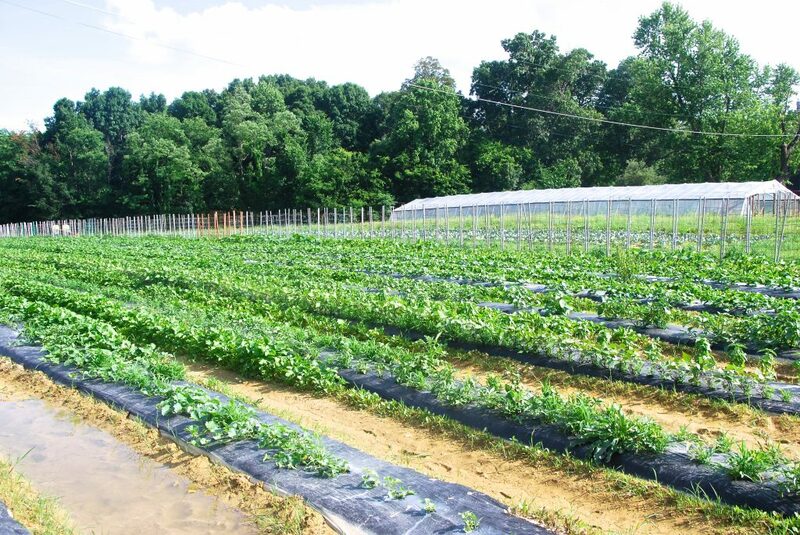 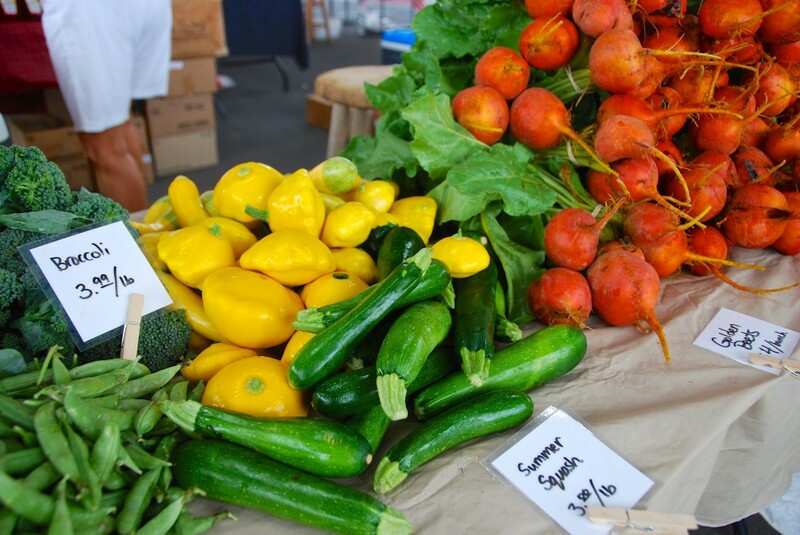 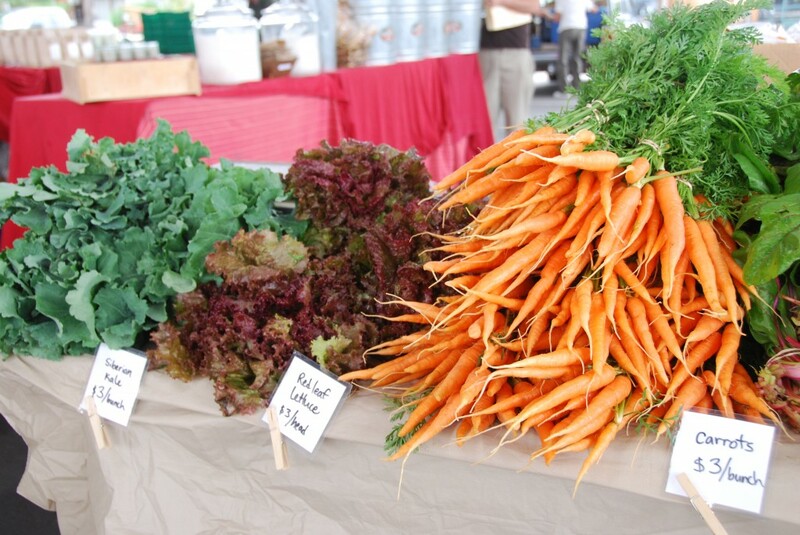 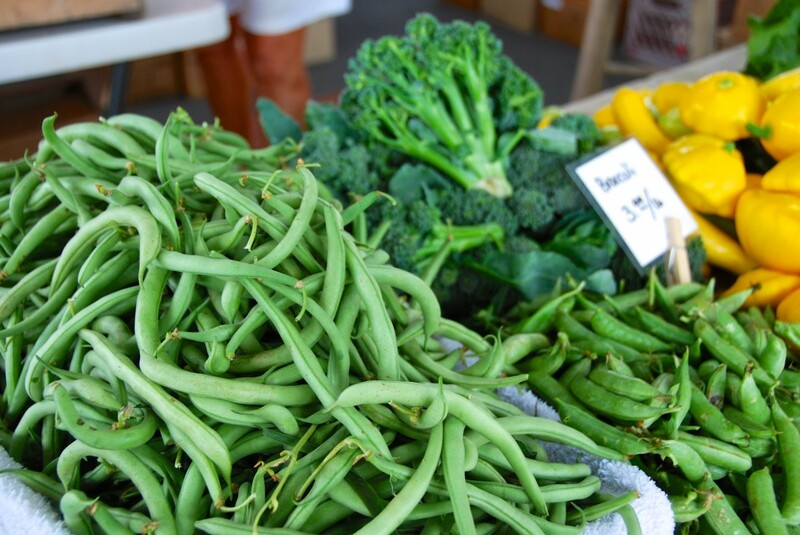 Because of our dedication to farming, Paradise Produce has not only grows the best produce available at markets and for CSA’s, but also provides restaurants, grocers, bakeries, juicers and more with top-notch fresh food. 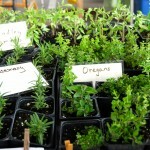 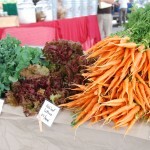 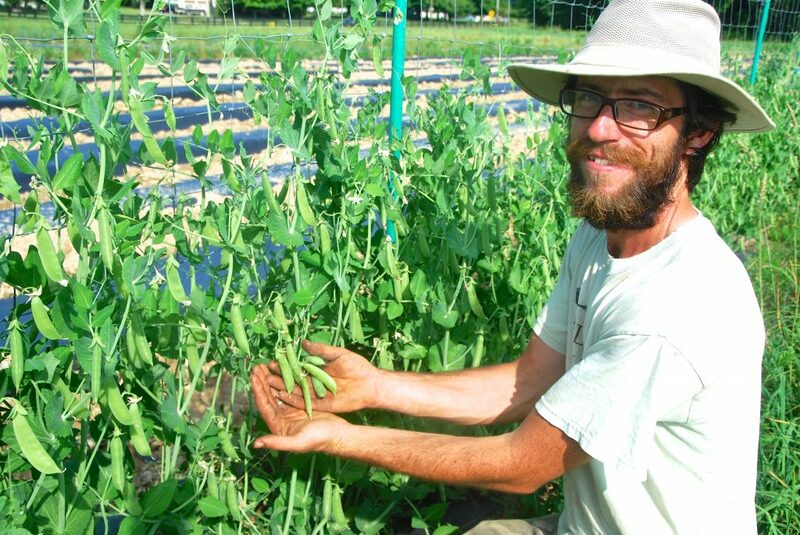 We are passionate for sustainable tasty agriculture! 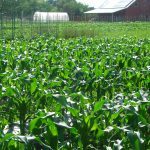 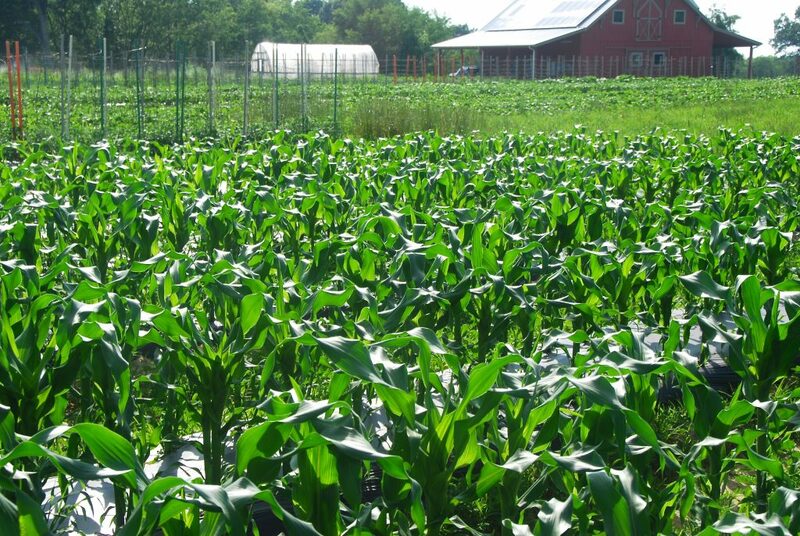 The family farm is disappearing with the continuation of industrialization and subsidy-supported agriculture. 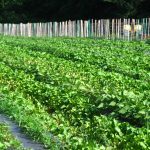 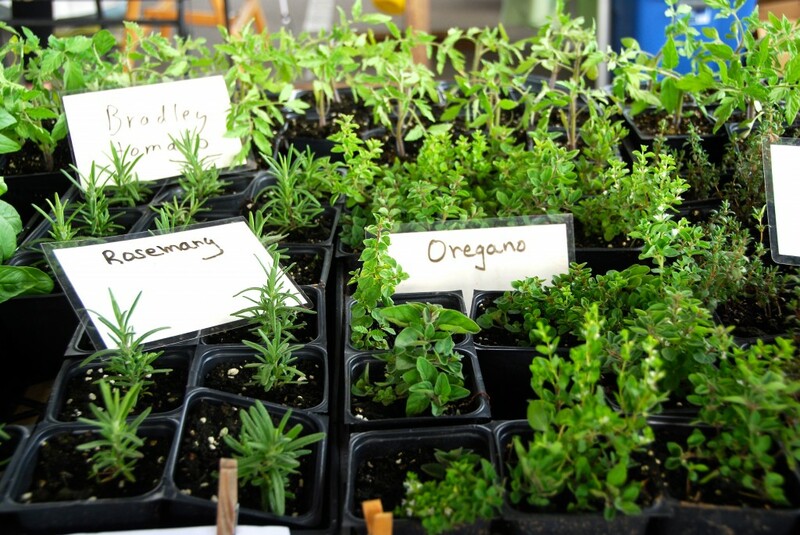 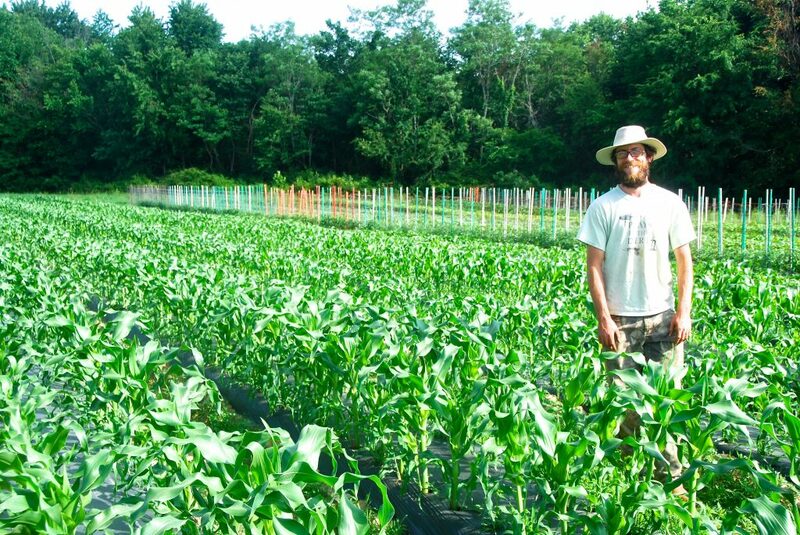 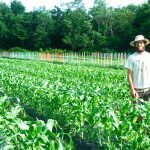 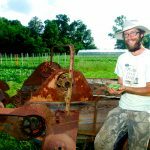 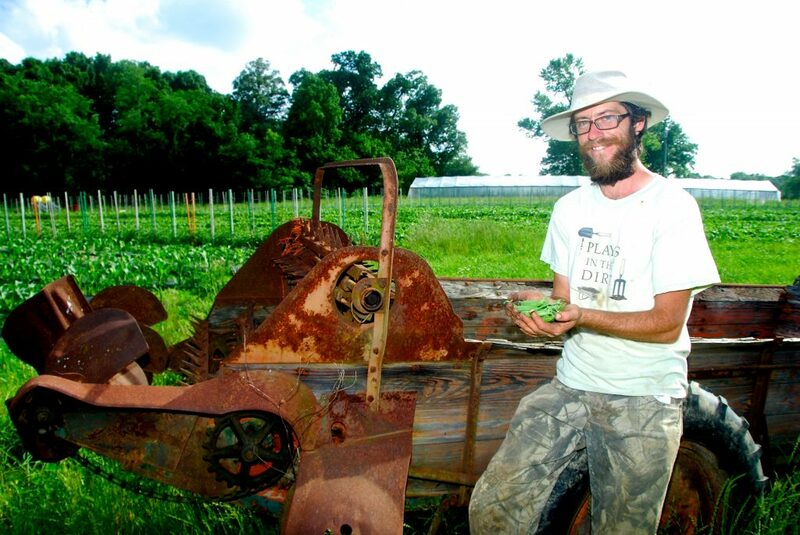 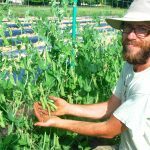 Inspired farmers have developed a way to promote community supported agriculture or CSA shares where customers can directly patronize the people who grow their food. 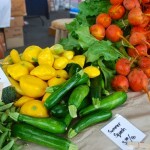 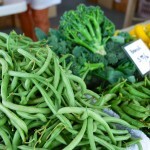 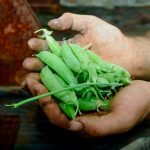 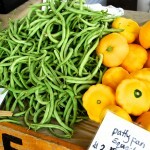 Other than the fresh food, one of the biggest advantages to buying locally is having a connection with your farmer. 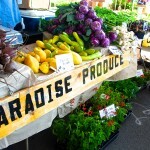 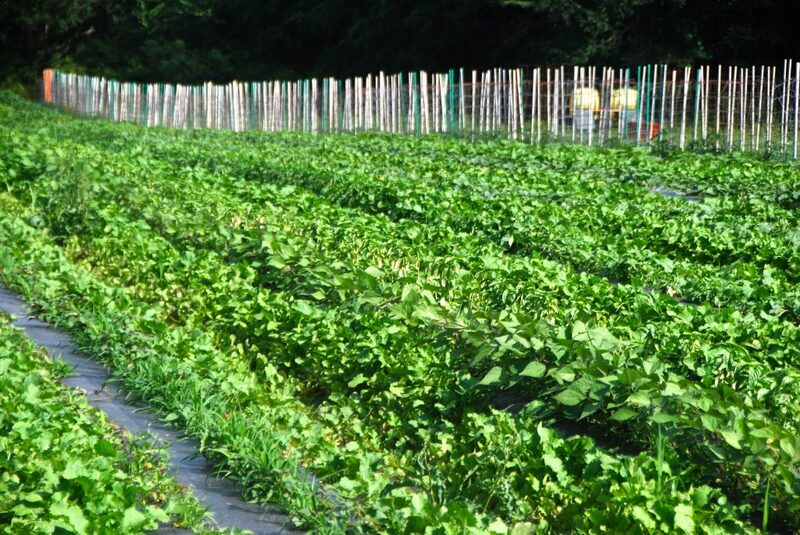 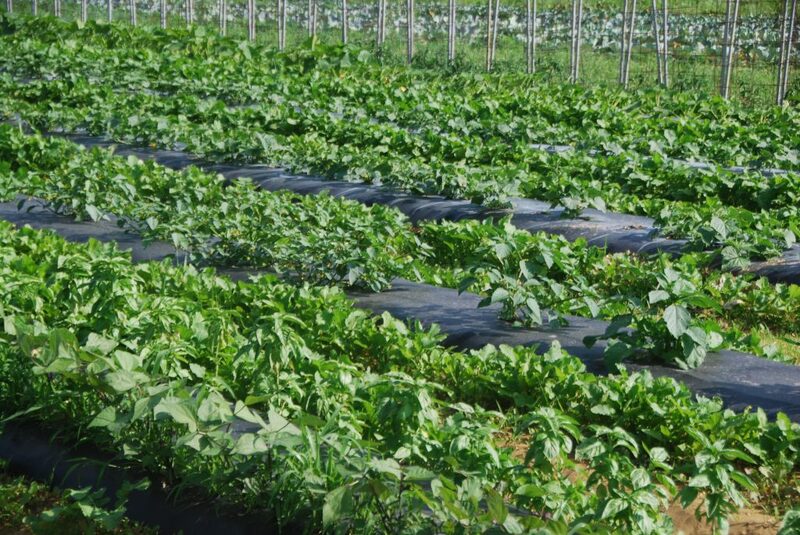 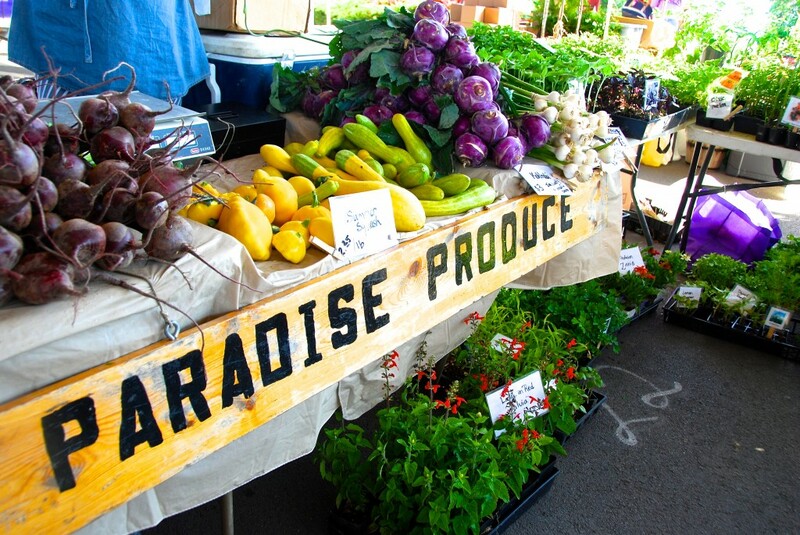 We’d love to have you be a part of our farm, Paradise Produce!